Interfaith of The Woodlands will recognize its 2016 Service of Excellence Award recipients during the Five Who Share Luncheon at 11:30 a.m. on March 4 at The Woodlands Waterway Marriott. Tickets start at $50. Among the Houston area’s most prosperous master-planned communities is The Woodlands, which this month celebrated its 42th anniversary. Montgomery County commissioners still may implement a digital message board that would allow them to communicate with each other regarding county business outside of publicly called meetings. The Woodlands Township board postponed committing almost $200,000 to fund the Woodlands Area Economic Development Partnership because, on Thursday, enough board members did not think the service agreement gives the township adequate influence over the EDP’s public position on issues. The nine candidates running for The Woodlands Township Board of Directors talked incorporation, mobility and campaign tactics at the forum hosted by The Woodlands Republican Women Wednesday. When music fans visit the Cynthia Woods Mitchell Pavilion in 2017 the venue will look a bit different. As the population continues to boom in south Montgomery County, apartment complexes have sprung up to take in new residents. From 2014 – Lucille Bradley, who was a second grade teacher for 30 years, stands by a tree Friday morning at the River Plantation Country Club in Conroe. Bradley will be celebrating her 100th birthday at the venue. The Conroe Independent School District unveiled the names of two schools under construction in the Oak Ridge area during Tuesday night’s board meeting. The Conroe Independent School District approved the sale of more than $200 million in new and refunded bonds during a board meeting on Sept. 20. The Montgomery County Hospital District is considering adding language to its current purchasing policy to encourage the use of local vendors. THE WOODLANDS, Texas – Land the listing, land the role. It’s all in a day’s work for The Woodlands resident Ron Claypool, owner of Claypool Realty & Acquisitions — and a featured extra in the highly acclaimed Clint Eastwood film Sully. Montgomery County commissioners on Tuesday approved limits to bowhunting following residents’ complaints about hunters letting injured deer wander the woods with protruding arrows or leaving them to decompose on private land. Four Conroe ISD campuses are among the 400 campuses statewide to achieve a Met Standard rating in the 2016 state accountability ratings along with earning all distinction designations applicable to their individual school. Montgomery County commissions got hung up on policy and not price when a county employee requested travel reimbursement that amounted to less than the county’s approved per diem rate. After weeks of back and forth, Montgomery County commissioners will fund the Montgomery County Animal Shelter at $2.2 million for fiscal year 2016-17 but will make an additional $1 million available for operations, upon request. 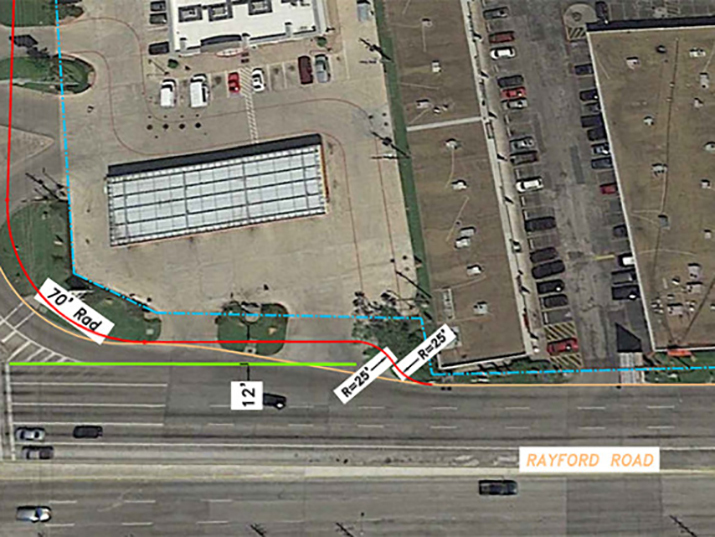 MONTGOMERY COUNTY, Texas — Montgomery County Precinct Three is moving forward with their plans to enhance the intersection of Rayford Road at Interstate 45 northbound feeder road. The improvement is wholly funded by Montgomery County Commissioner Precinct Three James Noack and was submitted to the Texas Department of Transportation for their review and approval. The Texas Department of Transportation has pushed back the opening date for the HOV lanes along Interstate 45 in Montgomery County to mid-September. After more than a year in the works, the southbound side of an 18-mile stretch of HOV lanes is set to open Sept. 15, weather permitting. The opening of the northbound side will follow two weeks later.